As great as traditional basil is, it’s not the only kind of pesto. Parsley arugula, sun-dried tomatoes and even carrot tops can be used to make pesto, and are abundant most any time of the year. The swiss chard stems are too fibrous for the pesto, so keep them for a nice saute with olive oil, salt and pepper and enjoy another tasty side dish. Use this fresh tasty pesto with any kind of pasta, on top of grilled chicken, grilled vegetables, pizza, tomato and mozzarella salad or on crusty bread. It is excellent mixed into chopped hard boiled eggs for egg salad. Spread on sandwiches, grilled cheese or corn on the cob. It is amazing in vegetable soups and risottos. 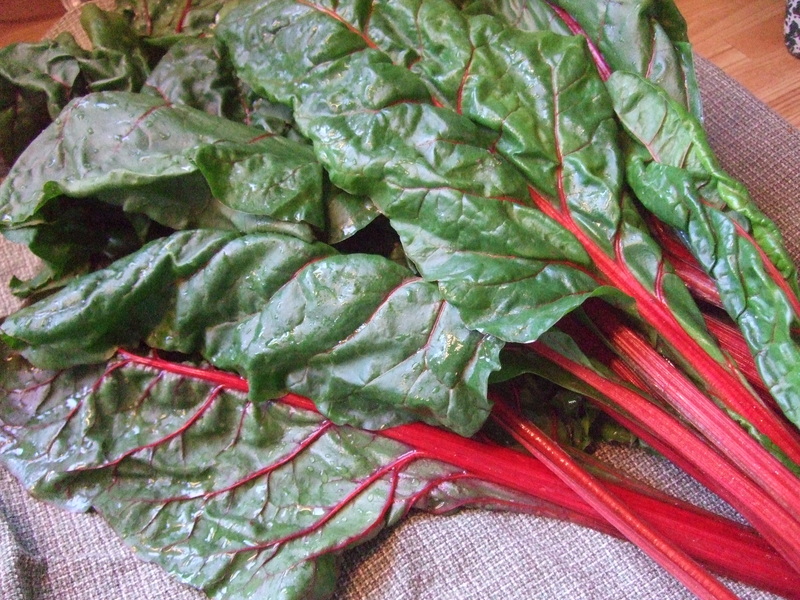 In a food processor, combine chard, garlic, lemon zest, lemon juice and 2 large pinches of salt. Pulse a few times. Add the sunflower seeds and cilantro and pulse again. With machine running, add the oil in a slow stream an process until incorporated. Transfer pesto to a medium sized bowl and stir in cheese.